For the relocated offices of this investment management firm, OTJ Architects evoked the company’s culture through the use of classic but warm materials in a design which balances the desire for connection and collaboration with the need for quiet and focus. The interconnecting stair facilitates the staff’s movement within the 80,000 square-foot-office with shared spaces clustered along this spine. 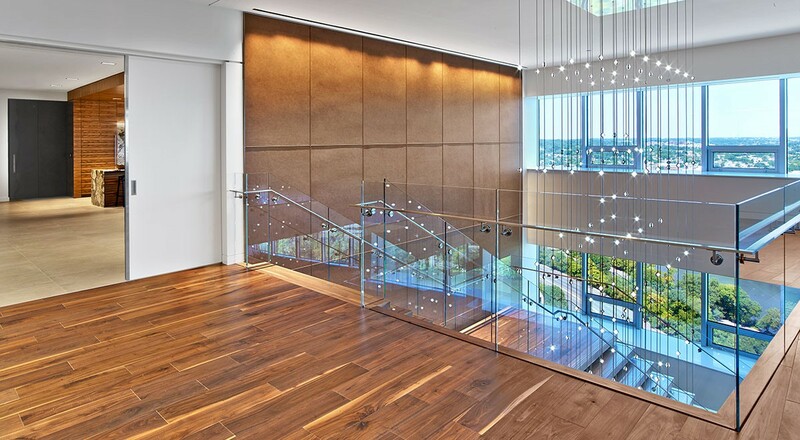 The stair features Custom Muro wall panels with tufting and fluting accentuated by a dark brown stitching detail. Nearby, a reception desk is wrapped in Distressed leather with a pronounced waxy cord stitching detail in white. 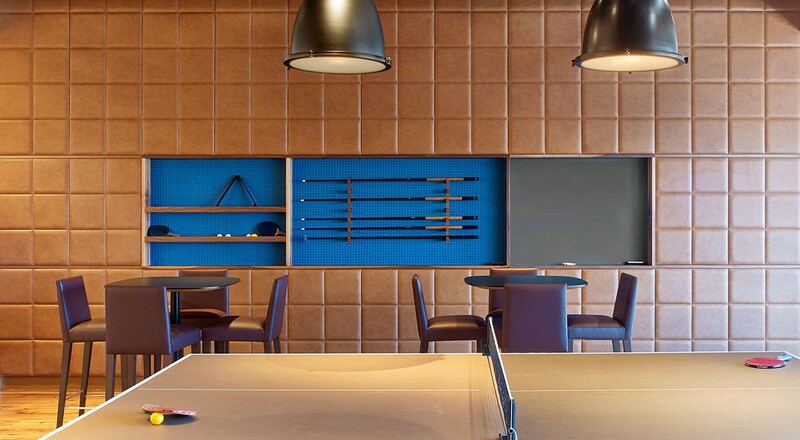 In a Game Room, additional Custom Muro panels with the same detailing feature vibrant gold stitching. The custom panels and the desk panels were installed by Spinneybeck. For more information on the product featured, please visit Custom Muro.